Happy Friday, sweethearts! Julia has pronounced Valentine's Day to be her favorite holiday - she ranked it above and beyond Christmas! 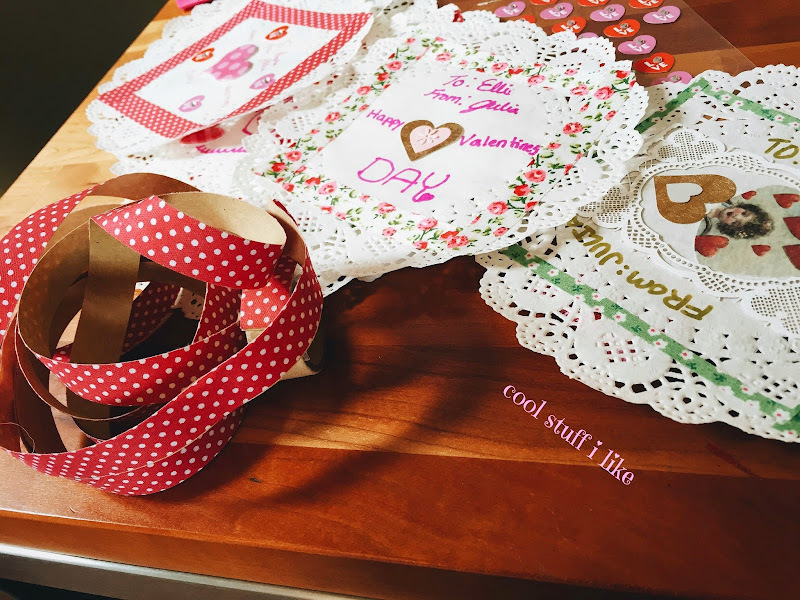 She wanted to make homemade cards this year with doilies - because shouldn't Valentine's Day be all about the cards?? And not just the candy?? No? Yes? Anyway, I dutifully trundled off to the craft store. I'm very afraid of the craft store. I feel like the craft store is some kind of....TEST. That I fail every time. It just serves a big reminder of how clumsy and non-crafted abilified I am. But I did find fabric washi tape! Did you know there was such a thing? I did not. It's like fabric on the top side, with the sticky tape on the back. Peeling off the tape though.....I won't say what I want to say because it's a very naughty word. Cook's Illustrated best ever blondies. This doughnut pillow is awesome. A tiny hamster Valentine's date!! These dolls are amazing. Thank you Danzel for letting me know about this! A MILLION MORE TIMES MORE YES. INFINITY YES. I love mini baking sets. These are fabulous red lacquer picture frames. Goldfish tea bags that move?? Creepy or cool? My pal Julia sent me the link with this very question. Great new series on Design Mom. Cool Book of the Week: Well, two actually. I mentioned not long ago how enamored I am with the art works of Nicoletta Ceccoli. Her art is a fairy tale, wrapped up in an enchanted dream. I had no idea she had these books dedicated to showcasing her amazing style. 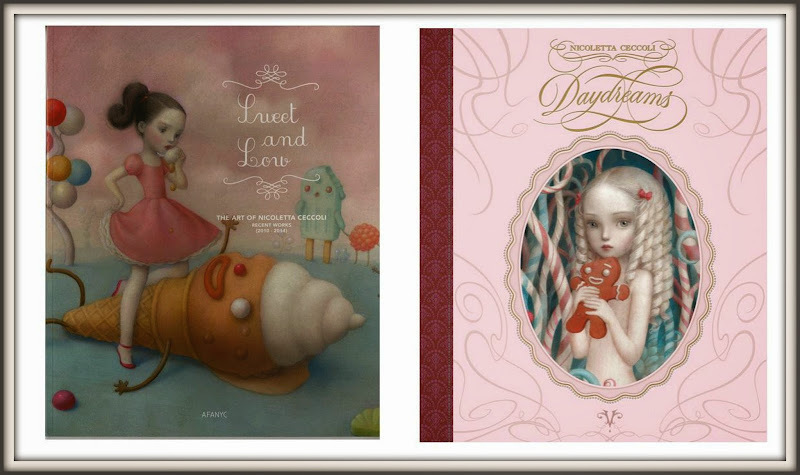 I'd LOVE to see 'Daydreams' and 'Sweet and Low - The Art of Nicoletta Ceccoli'! I haven't viewed the interiors of these, so I have no idea really of what's inside, or if everything is kid appropriate. But she's one of my favorites, and you should really check out her books, if she's a new-to-you artist. Have a lovely weekend and a very Happy and Chocolatey Valentine's Day! grocery shopping right now for the blondies. Thanks!!! I cannot wait to make those blondies - they look so good! don't those look fabulous? I think the Blondie is my new favorite treat! That donut pillow would only encourage my donut obsession. But shoot, it's cute. That tea bag is so wrong.